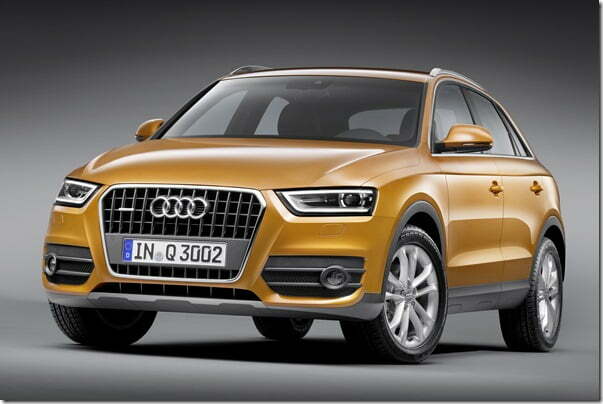 We have been hearing much about Audi’s youngest SUV yet, the Audi Q3, and it was showcased at the 2012 Auto Expo as well. Over the past couple of months we gathered enough information on the car and have delivered the same to you but the actual launch date was still not known. 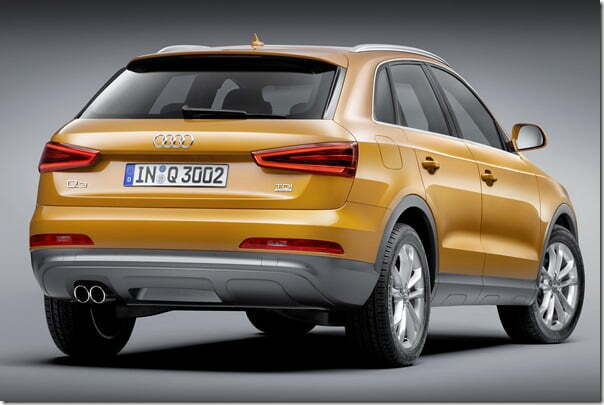 Now as per the latest information on Q3, it will be launched by Audi in the month of June this year. It comes as a great news since we and our readers have been eagerly waiting for its launch and at last we have some good news regarding it. We have talked about the car a number of times and in this post we will once again repeat it. First and foremost the car looks fantastic and bears a contemporary styling. Being a 2012 model, the design is up-to-date and resembles to that of Audi A3 Hatchback. Talking about the dimensions of the car, it is 4.4 meters in length, 1.8 meters in width and 1.6 meters in height. 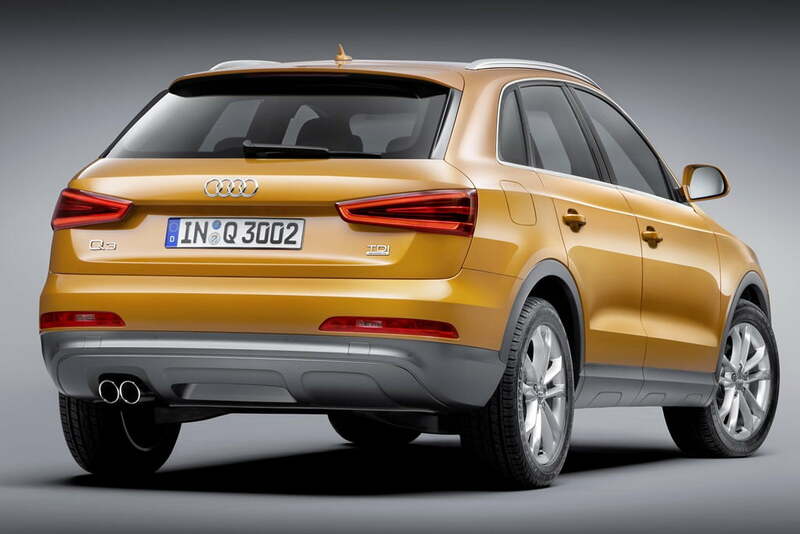 Interestingly it is just 20 cm shorter and 7 cm narrower than its elder sibling Audi Q5. Audi will be offering the car in both petrol and diesel version. The petrol version will feature a 2.0 litre/1984 CC TFSI petrol engine that will be coupled to a 6 speed automatic transmission and will develop 170 BHP of max power. The diesel version will feature a 2.0 litre/1986 CC diesel engine coupled to a 7 speed S Tronic automatic gearbox and will develop 211 BHP of max power and 380 Nm of peak torque between 1750-2500 RPM. Most importantly the pricing of the car will be a big concern for the company and it is being speculated that in order to stay in the competition with BMW X1, Audi will price the car close to Rs. 25 lakhs. This will ensure a healthy competition with its only competitor X1 which is priced between Rs. 22.40 lakhs and Rs. 30 lakhs.